UK pressing. The brand new sounds of Supergrass's fifth record might frighten the timid, unadventurous types who think Supergrass should still be doing buzzsaw pop, ten years after they (re)invented the form with I Should Coco. With their new album they have made a record that is utterly, intriguingly, brilliantly different. 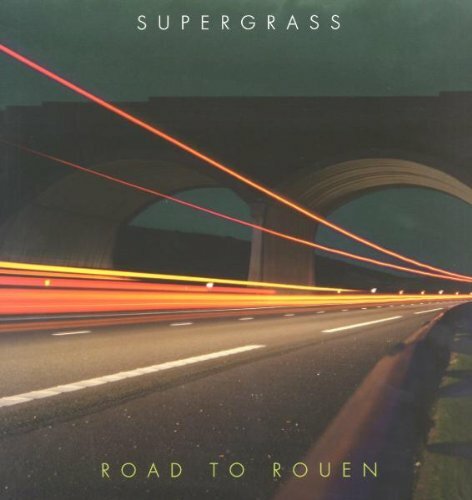 Road To Rouen is about a journey; going places, moving on and growing up, a new chapter for Supergrass. Ghosts of the past have been exorcised and (sort of) laid to rest: Supergrass are ready to face their future. Road to Rouen demonstrates an amazing development of their sound, firmly shaking off the old frivolous and cheeky image. The album is packed with ideas and there are surprises at every turn. In a very good way, it's all over the place. A zither, a ukulele, Led Zep-style psychedelic-folk, brass, strings, the model of drum machine used by Sly & The Family Stone - all these are on Road To Rouen. EMI. 2005.